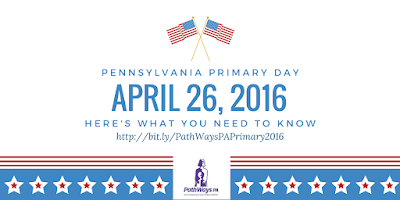 Primary Day in PA 2016! If you live in Pennsylvania, don't forget to vote on April 26! It is a critical time to cast your ballot on the issues that affect you. Your vote matters more than ever, especially when it comes to the policies that affect women, girls, and families like the ones we serve every day. The following information is for people who are registered to vote in Pennsylvania. If you live in another state, or have questions that are not answered in this post, please visit http://www.vote411.org/. Sign On To Support Better Regulations for Tax Preparers! 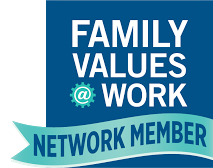 In partnership with CFED and the Assets and Opportunities Network, PathWays PA is asking for signatures to a sign-on letter regarding an amendment to the Tax Fraud and Identity Theft bill. This amendment would help regulate the tax preparation industry and prevent unscrupulous tax preparers from preying on low- and moderate-income taxpayers’ hope for a large—and quick—refund. Please use this form to read the letter and sign on by Monday, and feel free to share it with your partners.